Everyone was dressed except me. They all looked wonderful. Sage pulled my dress out of another room. "Are you ready?" She asked holding the dress. "It&apos;s now or never." I said. Every one in the room helped me put on the dress. When I got it on they buttoned it up. We all got into a limo outside. We drive to the hall. Renée&apos;s phone rang. "Hello? It is for you." She said handing me the phone. "Where are you guys!?" Anthony yelled. "Back up. Chill out. We are on the way." "Will you hurry up! Everyone is already here." "The wedding can&apos;t start without the bride, so if I reach tomorrow then you will wait till tomorrow!" I said hanging up the phone. Renee quickly took the phone from me before I threw it like I did with my phone. She handed me my flowers. I was at the hall waiting for Ivy and the rest of the girls. I wasn&apos;t nervous. I was ready for this moment for a long time. I just couldn&apos;t wait to see Ivy and make her my wife. "She hung up on me." Anthony said. He was my best man. He decided to call them even though I told him not to. "I told you not to. You are just going to stress her out." I said. "Says the man who ran away on his wedding day." Anthony said. "Shut up." I said. It was time for the wedding to start so we walked out to the flower arch. 5 minutes later the music stated playing. First Vanessa walked out, then Jaz, then Pippa, then Sage and Renee came out last. They all looked wonderful. Then the doors closed and the music changed. Then the doors closed again. Every stood up and the doors opened. I saw her. Everything around me disappeared and I only saw her. She looked amazing. And her dress was not white. It was off white. She wore make up but she honestly didn&apos;t need it. She finally reached the end isle. She hugged Leslie and stood in front of me. She was gorgeous. 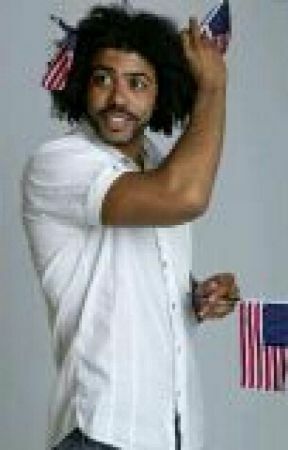 Daveed looked amazing! His facial expression was priceless when he saw me. Even his hair looked neat. It was pulled into a tight bun. I can tell he did not do it, it was too perfect. "We have gathered here today celebrate the joining of Daveed Diggs and Ivy Peterman in holy matrimony." The priest said. I smiled at Daveed. My eyes were fulling up with tears. I was so emotional. "The bride and groom have decided to write there own vows. Ivy." The official said. I took a deep breath. "Daveed, from the moment I saw you I thought, wow now there is a hunk." Everyone laughed. "Your out going personality, your smile, your brown eyes. Everything about you just makes me feel so.... So helpless. I love you I really do and I don&apos;t say that to a lot of people." I said wiping away a happy tear. "Ivy, I don&apos;t have words to express what you mean to me. You love me unconditionally even after I put you through so much. You gave me 2  beautiful kids and a wonderful life. There is nothing I would want more than to spend the rest of my life with you." He said. "Now may we have the rings?" Anthony handed Daveed the rings. Daveed slid the ring on my finger and I did the same to him. "You guys didn&apos;t even wait for the instructions." The official said. Everyone laughed. "Do you Daveed Diggs take Ivy Peterman to be your lawfully wedded wife." He continued. "And do you Ivy Peterman take Daveed Diggs to be your lawfully wedded husband?" "I do." I said smiling. "OK well then by the power invested in me, I now pronounce you husband and wife. You may kiss the bride." Daveed pulled me into him and kissed me. This man was mine. All mine for the rest of my life.